Gun lovers and enthusiasts know quite a bit about Ruger. Especially since the gun manufacturer has been on the market since 1949. It’s produced some reliable firearms over the years and judging by how the Ruger SR22 has been doing since its debut back in 2012, it hasn’t strayed from tradition when it comes to upholding its original standards. The Ruger 22 handgun proved that it can continue to do just that. So if you’re looking for a few reasons why you should get an SR 22 Ruger, well, a few reasons other than the fact that you tried shooting one and you liked it, here’s a SR 22 review that covers some of the key features of the pistol and can help you make up your mind about whether this is the gun for you. The Ruger SR22 pistol is a multipurpose, regular sized pistol. It features an ambidextrous thumb safety which is operated manually. Moreover, the SR22 has two rubberized grips on its polymer frame. Both can be removed manually and replaced without requiring the use of any additional tools. It has an ergonomic grip design and you can choose from two grip options to better modify the gun for your needs: slim and palm swell. The design of the grip makes it so that the SR22 is easy to both carry and use. Even more, its features make it a great candidate for a wide range of potential firearm buyers. Well, when it comes to guns, size does matter and so does weight. The Ruger SR-22 is relatively light weighing in at 17.5 ounces. It measures 6.40” in length, with a width of only 1.29” and a height of 4.90”. The barrel length is 3.5” and it has a twist of 1.16”. Its light weight and relatively small size make it easy to carry in a holster and keep it on you for easy access. Trigger pulls range between 4 and 6 pounds for single action. When used in double action, it features a pull range between 8 and 11 pounds. The pistol has an ambidextrous safety which also acts as a decocker and lowers the hammer once it is pressed. There’s a red strip you can’t miss when the safety is off and you have to move it up to fire and down to engage the safety. It also had an ambidextrous button for the magazine release. For a better user experience, the button is easy to access from either side of the trigger guard. It’s also positioned just under the guard. This makes it easy to use and means that it won’t affect your grip. It also has a slide release which locks back the gun’s slide once the magazine is empty. Another nice feature is the pistol’s magazine safety which means that the trigger is disengaged whenever the magazine isn’t there. Unlike other firearms of similar size and caliber, such as the Walther 22 pistol which requires you to pull down a piece of plastic from under the slide and then pull the slide back over the hammer, the Ruger SR22 has a flip lever inside the trigger guard which you can access after racking the slide. After you flip the lever you can pull the slide forward. You can also change the barrel by loosening a hexagonal screw. This will then allow you to remove the respective barrel and use another one should you want to. It’s a lot easier to strip the SR22 because of the flip lever as well as the recoil spring system it’s fitted with. There are certain features that the Ruger has which help with the shooting accuracy that you get from in. For example, the handgun is fitted with an adjustable rear sight that can be used to accommodate the sight for elevation as well as horizontal distance. Easier adjustments make the SR22 a much tighter shooter than other .22 pistols similar in size and design. Since it’s a relatively small pistol, we can anticipate that the grip isn’t going to be massive. It has a rubber sleeve that slides over the magazine well and, as I’ve mentioned before, it can be fitted with one of two sleeves. It’s also been fitted with grooves in order to ensure that the person using it can maintain a good grip. The gun also comes with two magazine floor plates which can provide more grip. One of the floor plates offers a finger rest that will definitely improve your grip if you have larger hands, especially considering that the pistol is quite small. It would seem that the Ruger SR22 performs quite well when you use most types of 22 caliber ammo even if the gun you have is new and hasn’t been properly broken in yet. According to the manufacturer the pistol should be compatible and work well with all of the .22 Long Rifle cartridges that fit the usual standards for the U.S. industry but there might be some exceptions such as subsonic and match-grade loads that might not provide enough energy to cycle the slide. However, if that happens it’s usually pretty easy to manually rack the slide and you can simply use a different brand of ammo from that point on. 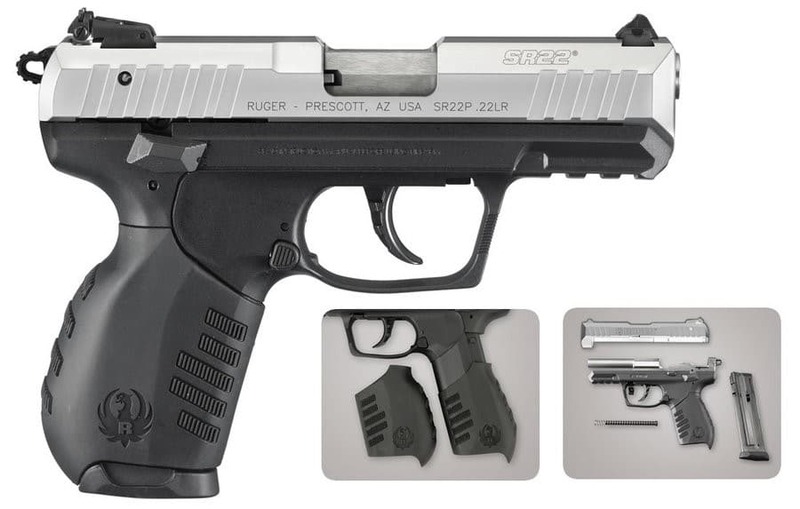 Considering that it’s a relatively new model and it works very well as an all-purpose handgun, the Ruger SR22 price seems fair enough, at a standard market cost of approximately $399.00. 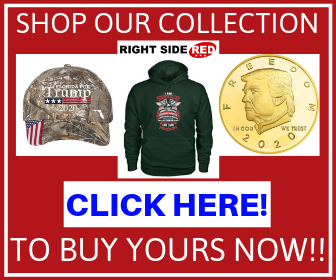 But if you keep an eye out for a good bargain deal you can find a Ruger SR22 for sale for even less, I’ve found discounted offers that brought the price down to about $299.99. It seems that Ruger has put quite a bit of thought in how to make the SR22 more easy to use. Since it’s easy to strip, carry, load, and shoot and has simplified controls, it’s a handgun that clearly scores well when it comes to how user-friendly it can be. 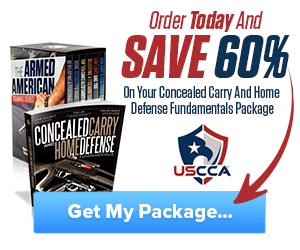 This makes it ideal for new gun owners that are still learning how to properly handle firearms using safe practices. The general consensus among Ruger SR22 users seems to be that it’s a handy all-purpose weapon. It also comes at an affordable price compared to other similar designs. The biggest plus is its reliability. The gun’s serrated, ergonomic grips make it a rather comfortable pistol to use. Its lightweight and small size ensure that it is easy to carry around. Safety features are easy to comprehend and controls are simple to use so it is a great option ever for less experienced gun owners because it’s user friendly. So if you need a reliable and versatile all-purpose handgun, the Ruger SR22 might be a great fit for you. I bought an SR22 for my elderly mother for personal protection. Even though she is new to gun handling this handgun is “easy-peezy” according to her. This article hits the nail on the head. It is small, lightweight and easy to use. Comfortable, reliable, (500 rounds and no misfires or stovepiping) and it’s a blast to shoot! I think I’m going to get another one for myself. . .
Hey Buddy!, I found this information for you: "10 Reasons Why You Should Get a Ruger SR22". Here is the website link: https://thegunrights.com/ruger-sr22-review/. Thank you.